Offering you a complete choice of products which include chemical industry chemical grinding machine and automatic gram peeling machine. We are precursor in manufacturing and supplying qualitative range of Chemical Grinding Machine for Chemical Industry. We offer highly sophisticated Automatic Gram Peeling Machine having a very high cleaning rate. These products are highly effective in removing stones and bad seeds from the processed seeds. 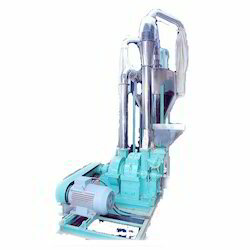 It is technical superior peeling machine which is arrived at by regular research and experiments within the industry.